Bottled unfiltered and unpasteurised, retaining the vinegar-fermenting bacteria that form the harmless jelly-like substance known as the mother. 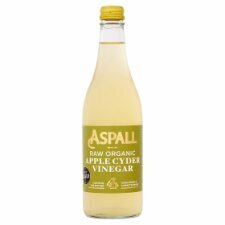 Aspall Raw Organic Apple Cyder Vinegar is matured over time to produce a beautifully delicate apple flavour and a pleasant, clean finish. 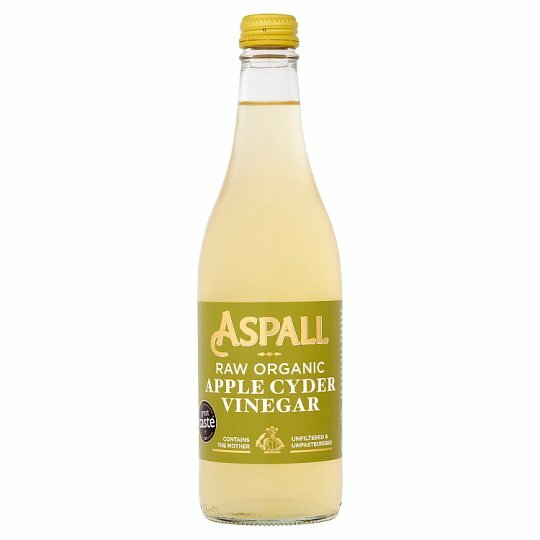 Ideal drunk diluted in water as a daily health tonic, or in cooking, dressings and marinades. 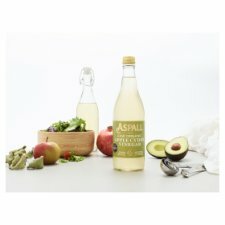 Founded in 1728 and still run by the 8th generation of the Chevallier family, Aspall has an unrivalled organic history as founding members of the Soil Association, and were pioneers of the unique 'trickle feed' process for making superior vinegars. Store in a cool, dark place. A sediment will settle at the bottom of the bottle., For best before: See neck.